Just got the evaluation model back. 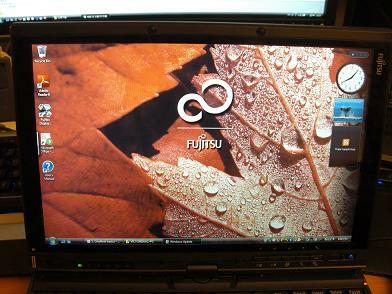 The Fujitsu T2010 arrived to Hong Kong late last week. The going rate is HK$21,800 (US$2,795) and it comes with the docking, which have a DVD writer, 4 USB ports, Kensington locks and DVI out, sweet. Just unboxed it. Installing Microsoft Office and other applications at the moment. All looks good so far. The screen as I mentioned in earlier post is just awesome, one of the best I’ve seen. Will do a full review later in the week. Post any questions here and I’ll dig out the answers. Mark, thanks for the call. I’m installing Dark Age of Camelot now to try out and see if 3D games can run on this machine. Regarding the review, I surrender, as promised, will do an update every 2 to 3 hours, hehe. Remember I’m +12 ahead of EST so do your math (my bedtime). Articles from PC Joint linked here and Engadget linked here. [Updated: 29 August] First user review from GottaBeMobile’s forum, link here. Saw the Fujitsu T2010 finally this afternoon, seems like Fujitsu just released it to a number of shops, the going price is HK$21,800. It comes with 2GB DD2-667 RAM and 1GB Intel Turbo Memory and 160GB Hdd. After playing around with it for half hour, I can only say one thing, the screen looks totally awesome. Tons of news from HTC, all summarized here. Hehe, lazy me. My new entry over at CNET Asia Community Blog is up. This week, I’m looking at the problems and solution in getting multiple devices and multiple email accounts in sync. Click here for the link. Hugo Ortega finally answered some of the questions posted after the video review he posted on GottaBeMobile (see old post here). Link here. Screen brightness. Better than Everun/Q1 Ultra? As bright as the Q1 Ultra but minues all the glare. Native screen res in Vista? 800×480 or 1024×600? How does it perform relative to your Everun? Screamed. The EVERUN and ALL OTHER UMPC appear sluggish against the Shift. It really runs Vista better than all other A110 based UMPC, and related devices. Hibernation took 3 min’s in the video. I assume this is a problem and not normal. I saw it on my i7210 once. Painfully slow! Buggy perhaps. Out of standby it is very fast, i.e. like typical Vista. 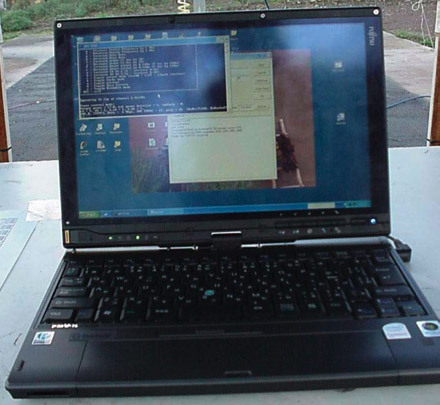 [via UMPC Portal] The above showing the U1010 running on HDD and the one below on SSD. 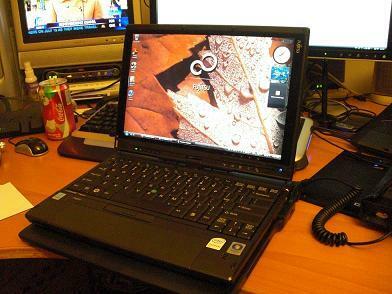 [16 August] Nice review on the Toshiba Portégé G900 by Arne Hess is up on the::unired. I’m not too impressed with this machine due to the bugs found immediately after the release. But luckily with the quick patch released, seems much problems been resolved. Nontheless, the G900 spot a very nice 3″ WVGA touch screen at 800 x 480 pixels. So read on and decide for yourself how this one rank. Personally, with the upcoming release of the HTC Kaiser, the G900 only have a short product window life due to the limitations of the sepcs. Link to full review here, read it and form your own judgment. [Updated: 28 August] pocketnow.com have a review (link) up on the new Toshiba Portégé G900 and their views on it aren’t that great. “I’ve personally been hoping for a VGA-enabed PDA phone for quite some time. Alas, the G900, while decent, just doesn’t live up to my expectations. The quirky behavior (even with the recent patch), lackluster design, and sharp edges really quickly outshone any highlights that I came across. It’s not a bad phone, just not a good phone, and probably wouldn’t be a unit I would readily recommend unless you really wanted fingerprint security on a WVGA device. Hopefully, Toshiba will take this unit back to the drawing board and bring back a really great unit. But until then, the WVGA dream will have to stay just that, a dream.” Check out the review though, tons of good pics. 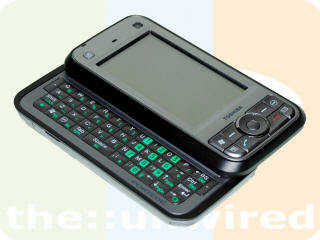 via GottaBeMobile, the link to the iPhone keyboard for Window Mobile Phones from PokcetCM here. Tried it out and typing speed increases with high accuracy. Totally awesome, definitely a must have. Video of the Day – Zune Phone??? Just for a good laugh. 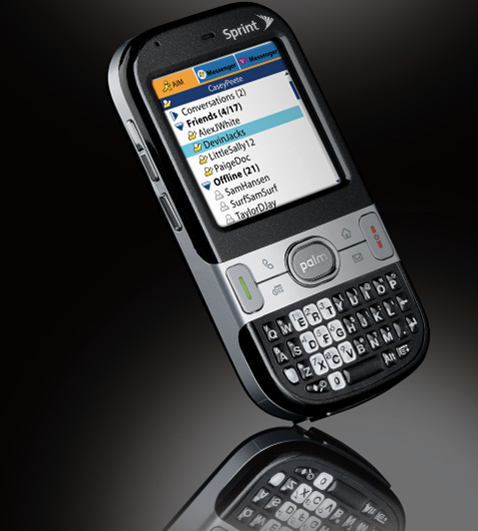 This WM6 PocketPC Phone is in landscape orientation by default, like the Windows Smartphones such as the Dopod C730 and the Samsung SGH-i600. It’s currently not carried by any of the local carriers here in Hong Kong but available through Expansys Hong Kong for HK$5,280. 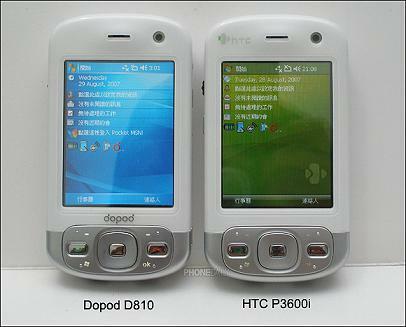 For the Chinese review, please see PhoneDaily’s article, [3.5G 智能新寵] 英國 UBiQUiO 503G 到港. Yet another review (4 pages) up on TweakTown, link here. The new Palm Centro picture leaked on Gizmodo, looks pretty neat. 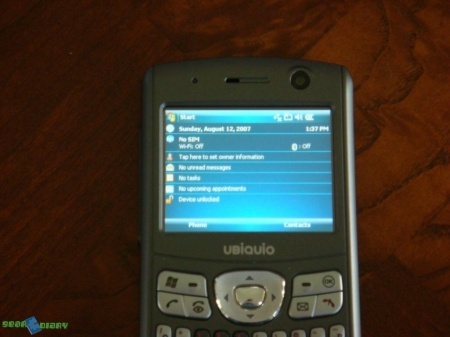 This would be the smallest Treo ever but not much details on the specification yet. Link to Gizmodo here. 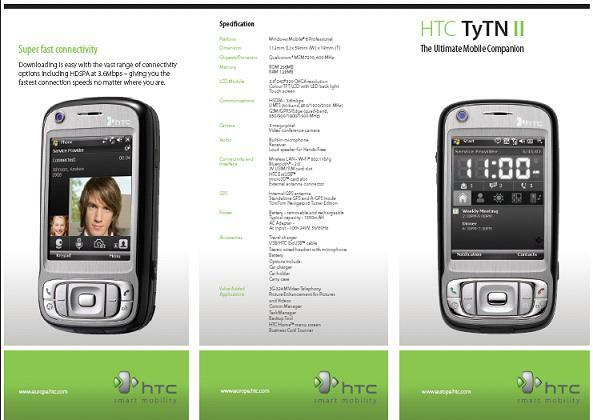 The HTC Kaiser/TyTN II Spec Sheet was briefly posted on HTC Club but was pulled at the request of HTC. Link here. Well, got my MITO MU108 3.5G HSDPA USB modem yesterday from 3HongKong and finished up the 2-part video review at the request of a local tech forum, thus it’s in Chinese. The MITO MU108 is the replacement of the Huawei E220 HSDPA USB modem in which 3Hong Kong used to carry. Reason for the replacement is probably due to the lack of Vista drivers (poor technical support?). The Huawei E220 modem is the same one as SmarTone’s but obviously SmarTone’s technical support is a bit better as they provide their customers with the Vista drivers. Well back to the MITO MU108, it is a very nice modem in compare to the Huawei E220 because it plugs in via the USB port instead of the mini-USB which I found to be a bit flimsy. Speed wise, both are comparable. The going price is $1,680 which I found to be pretty reasonable. If you check on Expansys Hong Kong’s website, you’ll find that the Huawei E220 is going for $3,030, which I think is a bit hefty. So check it out at a 3Hong Kong retail shop near you as 3Hong Kong have yet to post it up on their website. In the meantime, if you want to check out the specification, click here for the product page on NEC (probably the distributor).